Home » News » Dynafit sponsor the Scafell Sky Race! Dynafit sponsor the Scafell Sky Race! 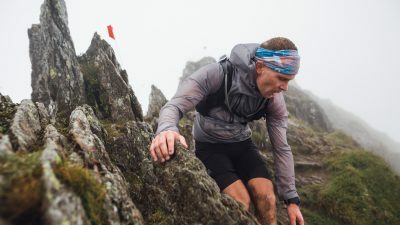 Dynafit join Salewa and Leki UK in sponsoring the Lakes Sky Ultra/Scafell Sky Race Weekend in July, part of the Lake District Sky Trails brand. Top European running brand join forces with top European mountaineering brand to sponsor the epic Scafell Sky Race on Sunday the 15th July 2018. Dynafit are synonymous with fast paced summer and winter sports and so we are extremely happy to announce that Dynafit are now the ‘headline’ sponsor for the epic and ultra technical Scafell Sky Race. 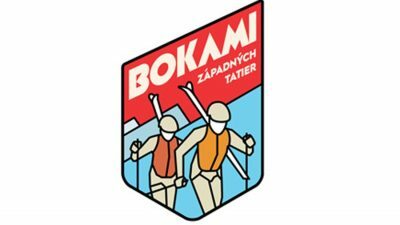 In 1950 Humanic (predecessors to Dynafit) start producing ski boots and 15 years later they make the first buckle ski boot. In the 70’s the famous Austrian skier, Franz Klammer, wins the downhill race at Schladming in Dynafit boot and then 3 years later he wins the ‘Downhill’ discipline in Innsbruck at the Olympic Games. Klammer goes on to be one of the greatest downhill skiers of all time. Dynafit continues to innovate over the next few decades with the first ski boot to win the IAS’s Golden Seal of Approval, next they produce the lightest ski/climbing boot in the world. During the 1990’s Dynafit introduce several products that remain as milestone products in the development of ski touring and mountaineering. Into the new Millennium and Dynafit conditues to develop, shaping the way for Ski Mountaineer Racing with the lightest boots and bindings in the world, other milestone developments happen along the way and pushing into this decade Team Dynafit, made of top level endurance athletes, cross the European Alps taking in four iconic peaks: Zugspitze (Germany), Similaun (Austria), Ortler (Italy) and Piz Palu (Switzerland) in 4 countries over 4 days! Next comes the summer range and year round training and racing in Dynafit clothing and equipment is realised. Dynafit cover Vertical Running, Alpine Running and Ultra Running to complete and fantastic range of running clothing and equipment. 2 years later they develop ‘Speed Mountaineering’ clothing to complete the whole ensemble for athletes to be able to perform at all disciplines necessary to compete at a high level whether ski mountaineering, sky running or just have fun moving as ‘fast and light’ in the mountains as possible. Finally in 2018 Dynafit UK commit to the epic and extremely technical Scafell Sky Race to become the headline sponsor for this ‘World Championship’ qualifying event. Check out Dynafits ‘Alpine Running’ range. We’re really pleased to be welcoming Dynafit to our epic weekend of extreme Skyrunning in the English Lake Distirct during the month of July. Points for the UK Skyrunning Series and a UK Qualifier for the Skyrunning World Champs.